I love that the sweet equals the tart. I love the cakey center and the crunchy crust. You are irresistible and please the crowds. You are Italian, so you are a cookie after my own heart. You gladden the heart of my brother, Charles, too. For that, I will continue to make you all the days of my life. There is a fancy cooking term called, mise en place (me-zahn-plahs). It means to “put into place” which in the kitchen means to measure all the ingredients ahead of time, so they are ready to go when you start cooking. I’m frequently in a rush and don’t bother to do this extra step, but today, I decided to give it a try. It was so calming! I plan to make this a regular cooking practice. 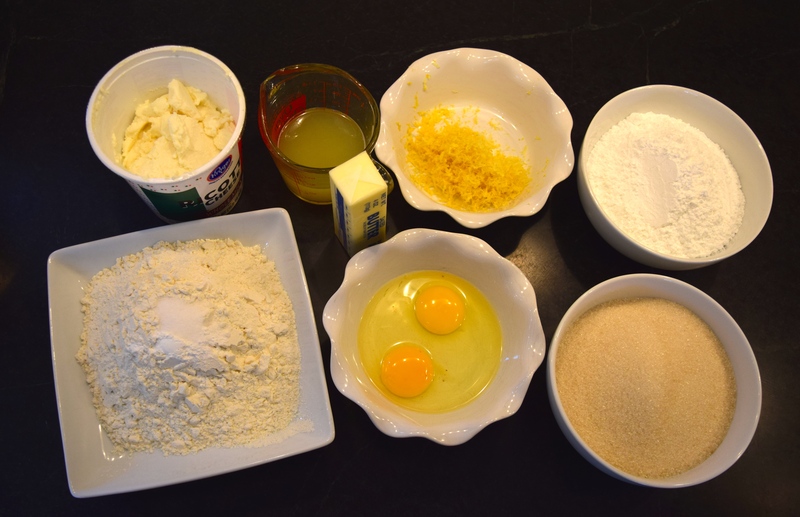 Measure and combine the flour, salt, and baking powder in a small bowl; set aside. Melt the butter; set aside. Measure sugar; set aside. Crack open the two eggs; set aside. Measure ricotta. Zest and juice the lemons. As part of my mise en place strategy, I did all the prep work on my lemons first. 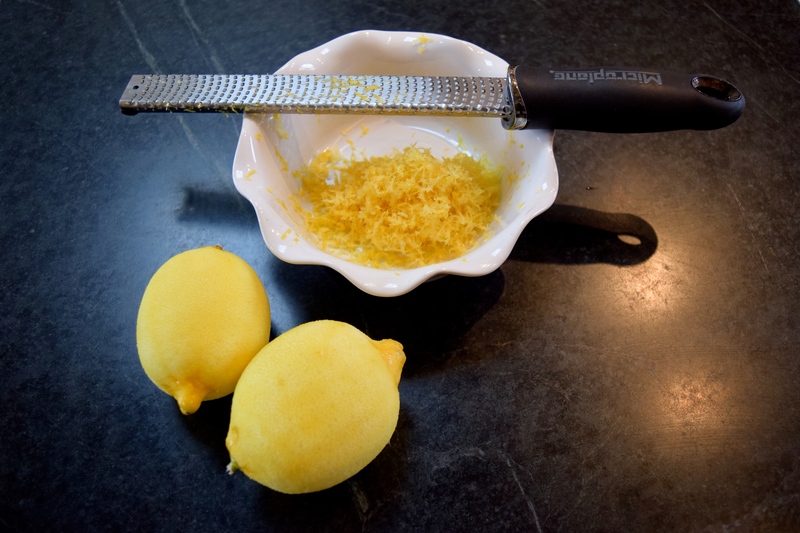 I used the fine-holed Microplane grater to zest the two lemons. Grating the brightly colored rind of the citrus fruit is a great way to add intense flavor to food. Be careful not to grate past the yellow rind as the white pith below the rind is bitter. Next, slice the lemons in half and squeeze the juices out using a lemon squeezer. 2) Line three cookie sheets with parchment paper. 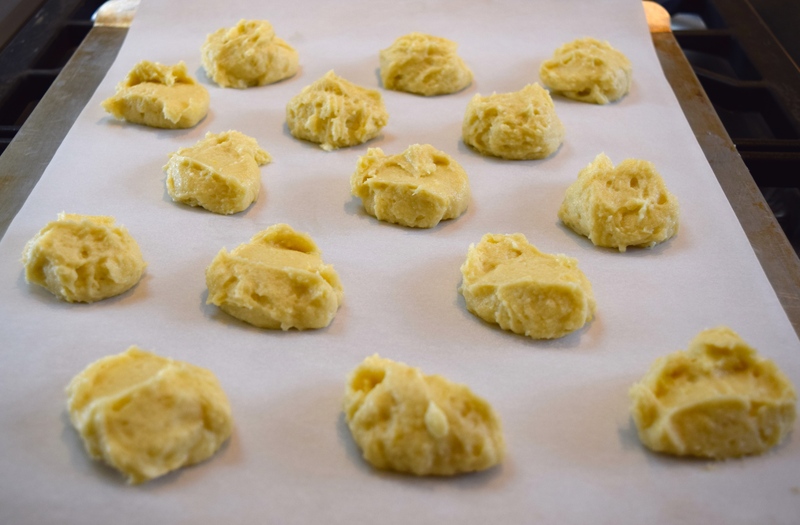 If you don’t have parchment paper, lightly grease the baking sheets with canola oil. 3). 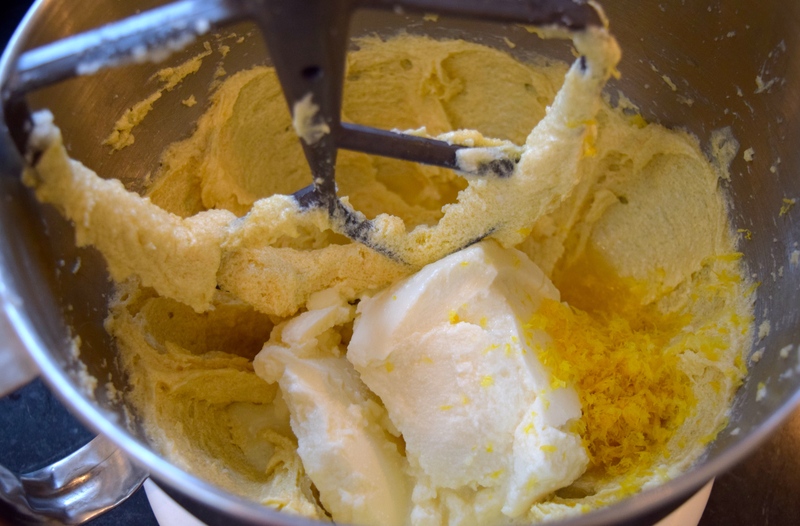 In a large mixing bowl, cream together the butter and sugar on medium speed for two minutes. Beat for the full two minutes as this will incorporate air into the batter which will make for a lighter cookie. 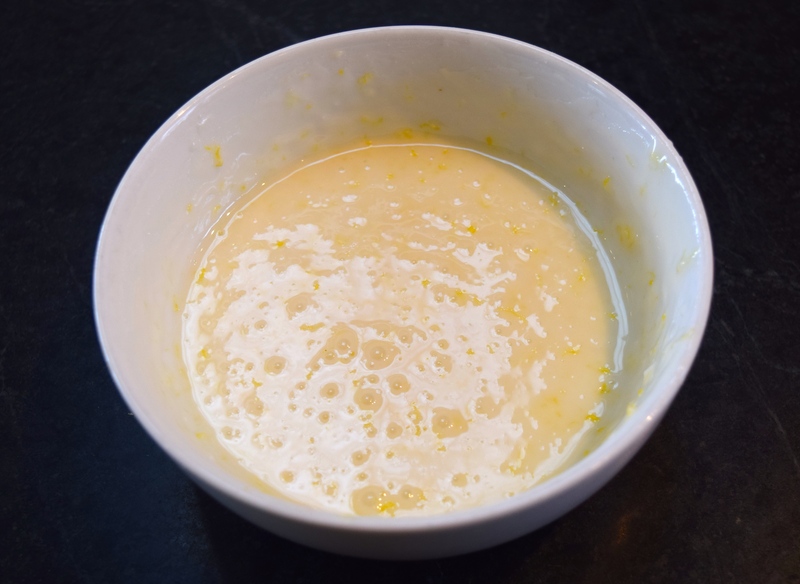 4) Add eggs and beat for 30 seconds. 5) Add the lemon zest, lemon juice, and ricotta and beat for one minute on medium speed. 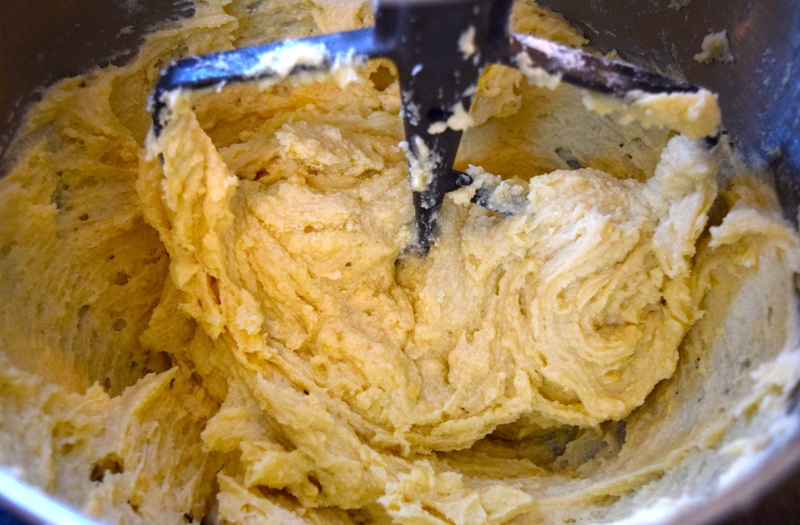 Be sure to use a spatula to incorporate the ingredients that have settled onto the bottom of the mixing bowl, into the batter. 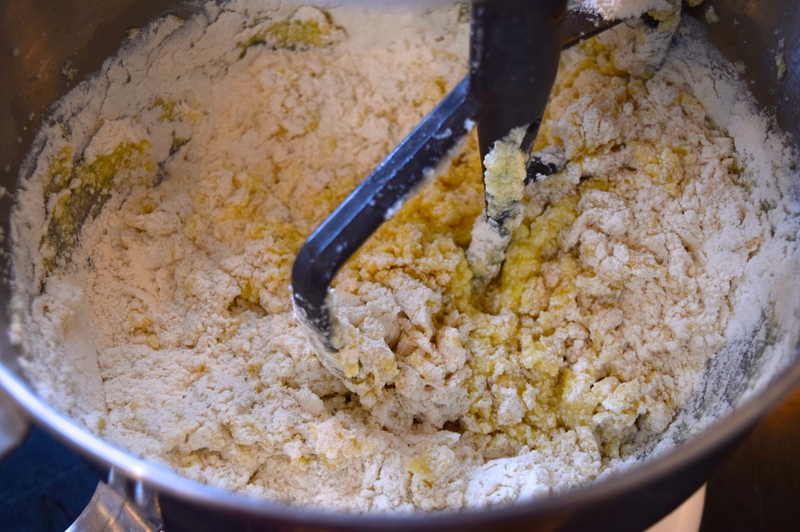 6) Add the flour, baking powder and salt mixture and stir (the lowest speed on a mixer) for a minute. Do not overmix or whip. 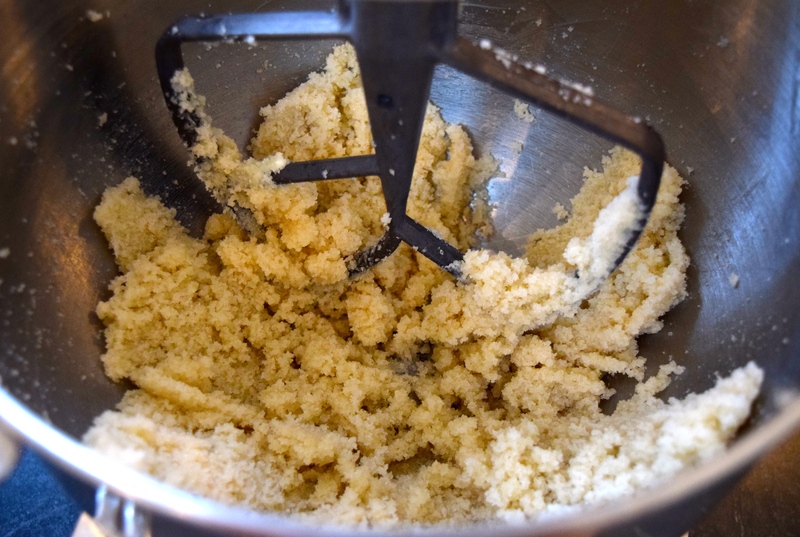 We don’t want to awaken the gluten in the flour, so the batter becomes elasticky. We want the cookies to have a cake-like texture. 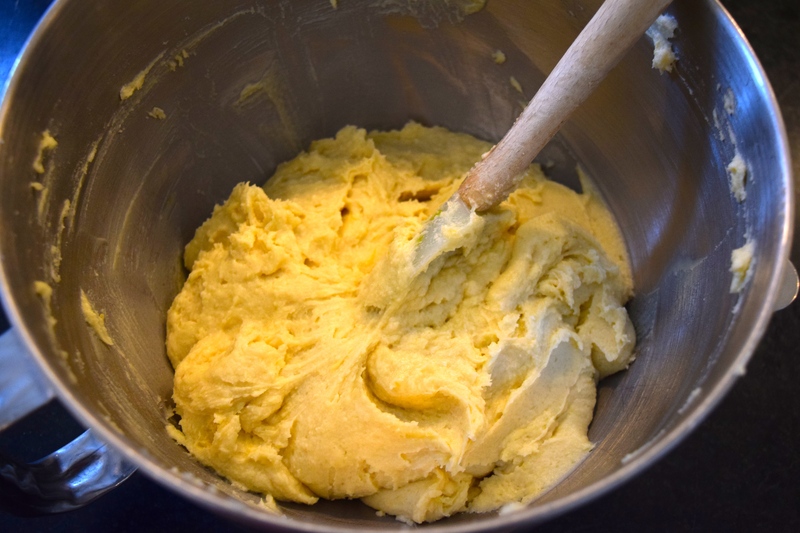 7) Use a tablespoon to drop the cookie dough onto the pan. 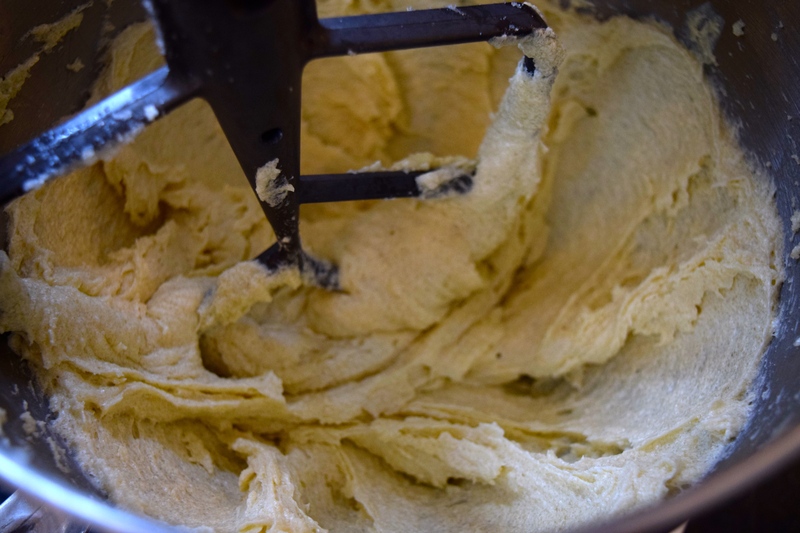 Use about one heaping tablespoon of dough for each cookie. 8) Bake for 15-20 minutes. After 10 minutes of cooking, rotate your cookie sheets in the oven. Cookies are done when their bottom edges just start to darken. Leave cookies on the pan to cool for 10 minutes. 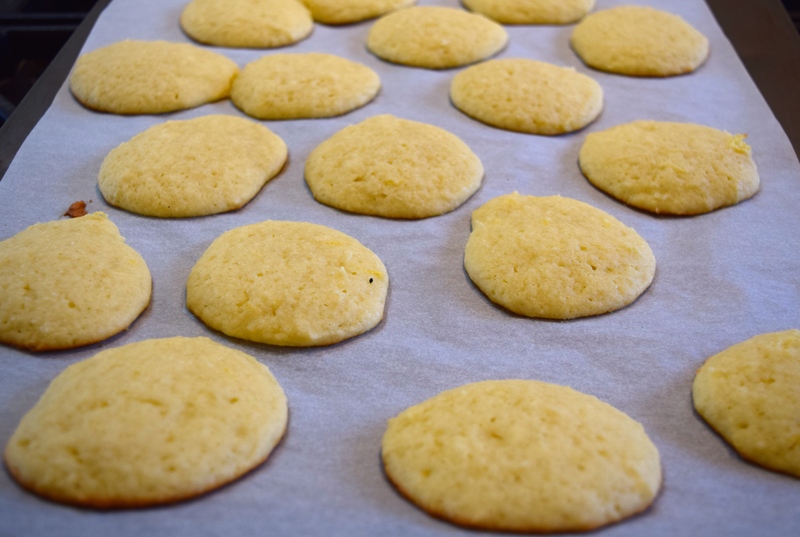 Peel cookies off the parchment paper and place directly on a wire cooling rack so the bottoms can air dry and become crisp. 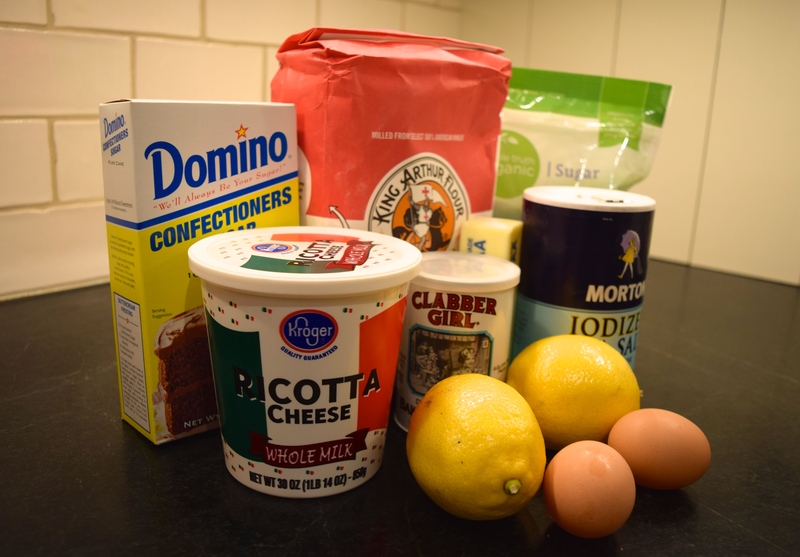 1) Mix together powdered sugar, lemon zest, and lemon juice in a small bowl and stir. 2) When cookies are cool, use a knife to spread a thin layer of glaze over each of them. Let glaze harden for at least three hours before stacking. P.S. I’ve heard from relatives that you can make these cookies with orange or lime juice and zest, too. Check out Christmas on the MENU (under Recipes) for more holiday recipes. Follow me on Instagram and Pinterest at JudysChickens. If you enjoyed this post, please sign up to be a subscriber! Once you sign up, be sure to confirm the subscription on the confirmation letter sent to your email address.